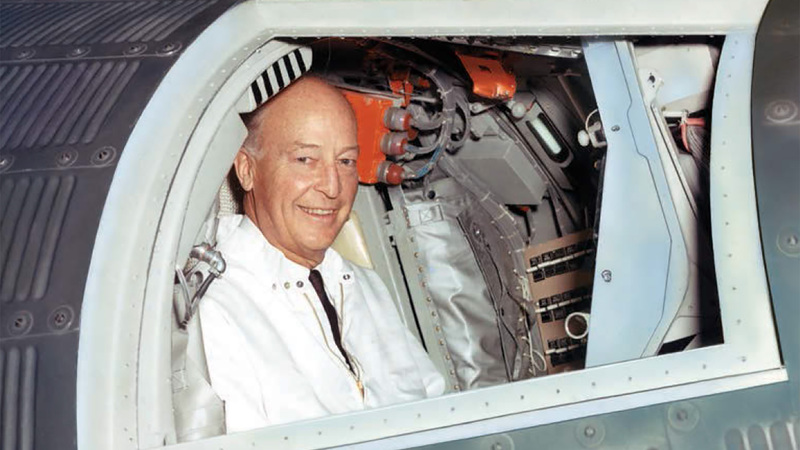 With his keen pursuit of excellence and adventure, H.F. Johnson, Jr., third-generation leader of SC Johnson, took the company to new heights. “Every community where we operate should become a better place because we are there.” – H.F. Johnson, Jr.
“Some decisions are only for the brave.” Those words by H.F. Johnson, Jr., the third-generation leader of our company, sum up the many ways he influenced SC Johnson company history. H.F. was our first trained chemist, bringing scientific rigor to our product lines. He led an expedition to the Amazon in 1935 that ultimately changed the way we think about responsibility. 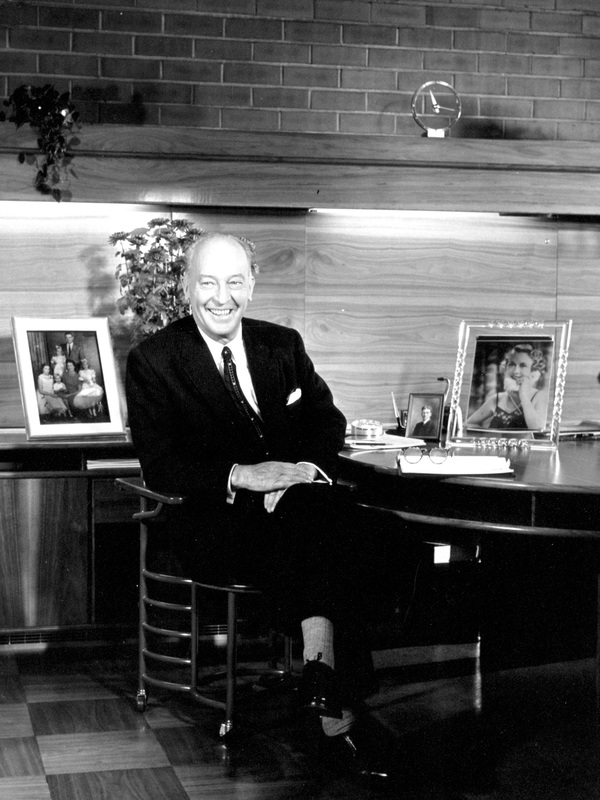 He put the company on the map with visionary decisions like having Frank Lloyd Wright design our headquarters. And, he spent a lifetime celebrating the dignity of the human spirit. He was, most certainly, a brave leader. H.F.’s influences are alive and well in his family’s company today. H.F. Johnson, Jr., third-generation leader of SC Johnson. Herbert F. Johnson, Jr., - known as “H.F.,” was still a teenager when he saw the company evolve from selling flooring to a wide range of home care items. Automobile products, in particular, such as Stop Squeak Oil, Hastee Patch and Radiator Cement, were helping build a name that families could trust. Then came Freeze Proof. Intended to protect the radiators of Model T automobiles, the product in fact dissolved them. 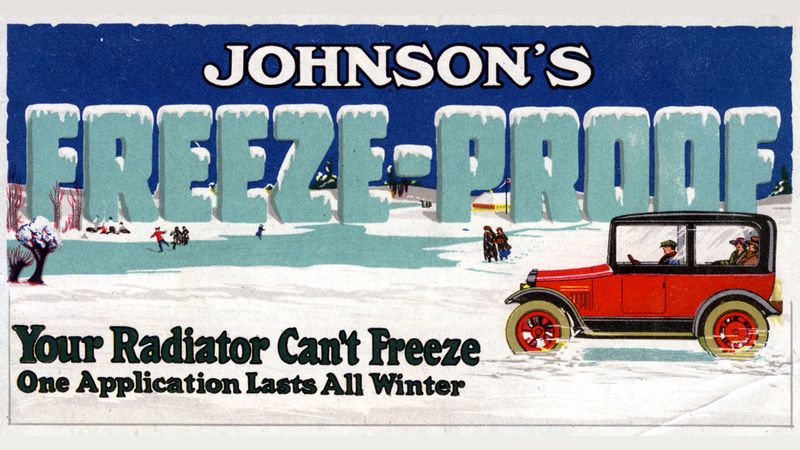 In 1918, SC Johnson acquired title to roughly 500 useless radiators our products had destroyed. After Freeze Proof destroyed 500 radiators, H.F. was sent to college to study chemistry. Herbert F. Johnson, Sr., who led the company at the time, recognized that having a chemist in the company was becoming a requirement. So, he dispatched his son, H.F., to Cornell University to study the science. When H.F. returned in 1922, he was the first graduate chemist the business had ever had. He built a laboratory in an old office building bathroom, bringing a new focus on research and development to the company’s work. It was a commitment that never wavered. H.F. championed product quality and the value of science and technology throughout this life, both in the laboratory and in manufacturing. SC Johnson Took Bold Steps Under H.F. In 1928, Herbert died suddenly, leaving H.F. to take the reins of the company at just 28 years old. And soon after that, the Great Depression began, devastating the American economy and hurting business everywhere. Many companies lost sales and cut back on new products. But H.F. pressed onward…and science played an important part. 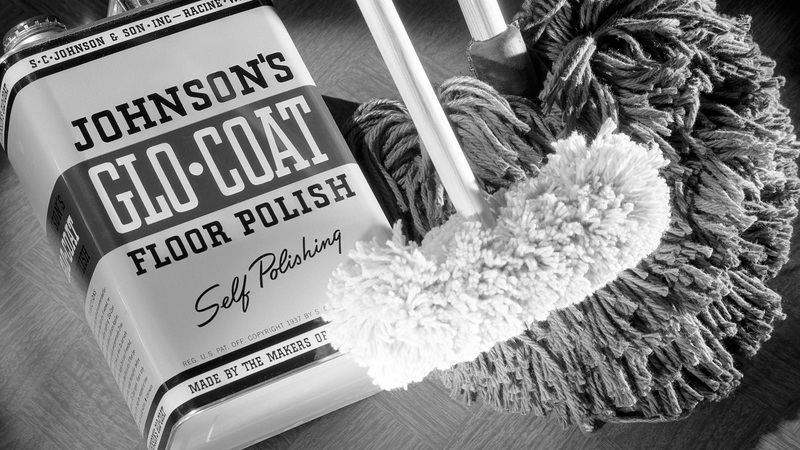 Propelled by its investments in research and development, the company created a revolutionary self-polishing wax called Glo-Coat. It would become one of our most popular and enduring products. First, we had to get people to try it. This is where H.F.’s bravery was critical. He authorized the shipment of about a half a million pints – without orders! – to the company’s retailers around the United States. Stores were invited to sell it or return it at the company’s expense. The success of Glo-Coat proved that a superior product can thrive even during poor economic times, and it further strengthened our commitment to R&D that endures today. Beyond ensuring that SC Johnson made products that worked and were grounded in good science, H.F. was a marketing visionary who connected the Johnson name to quality, creativity and adventure. 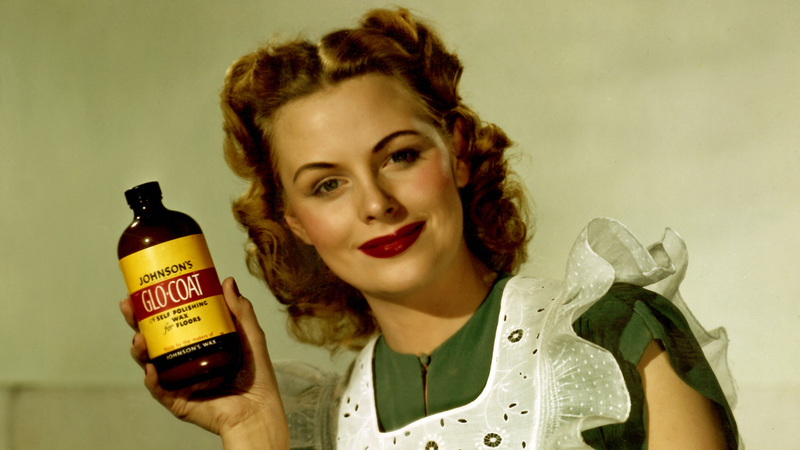 First, there was his decision to sponsor the popular radio program “Fibber McGee and Molly” in the heyday of radio. Throughout the 1930s and ‘40s, the hit show reached up to 20 million listeners a week, expertly weaving in mentions of our company and our products. Then there was the 1935 expedition to northeast Brazil. 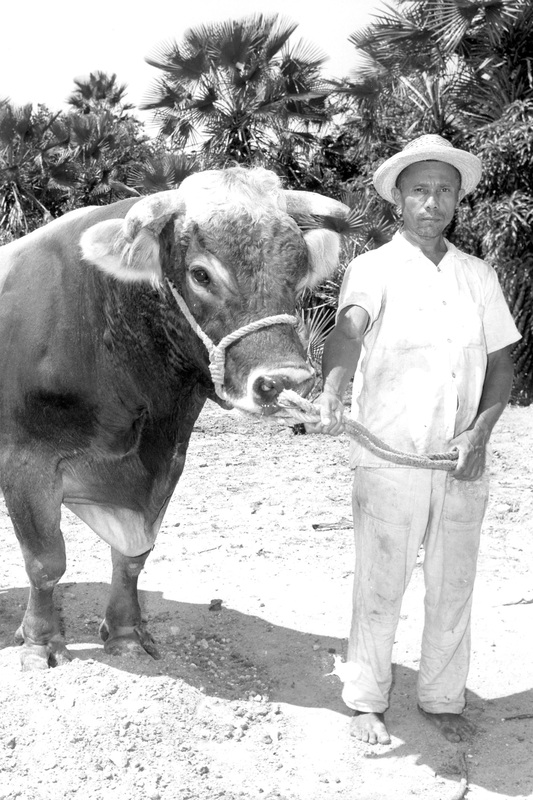 There, H.F. sought new stands of carnaúba palms for the company’s products, and the opportunity to develop new methods to extract and refine the wax. He would later say that the trip changed his life. And then came the bold move of hiring the architect Frank Lloyd Wright to design the company’s global headquarters in Racine, Wisconsin, and later our Research Tower. Life Magazine touted our Administration Building as “genuine American architecture” and the shape of things to come. To H.F., it was simply great design, intended to inspire great products. Generation 3: H.F. Johnson, Jr.
Perhaps H.F.’s bravest decision came in the early 1960s, with the 1964 World’s Fair beginning to take shape in New York. Unlike other companies that put up product exhibits in industrial halls, H.F. wanted to share a vision of peace and the dignity of the human experience. The result was The Golden Rondelle Theater and our Academy Award-winning film, To Be Alive!. But that’s just one example of H.F.’s humanism. He is also remembered for pioneering employee benefits introduced under his leadership, like a pension plan in 1934, a resort for employees in 1951 and comprehensive medical insurance in 1961. LEFT : After seeing that the children of Fortaleza, Brazil, did not have fresh milk, H.F. sent 11 head of Brown Swiss dairy cows for the community. 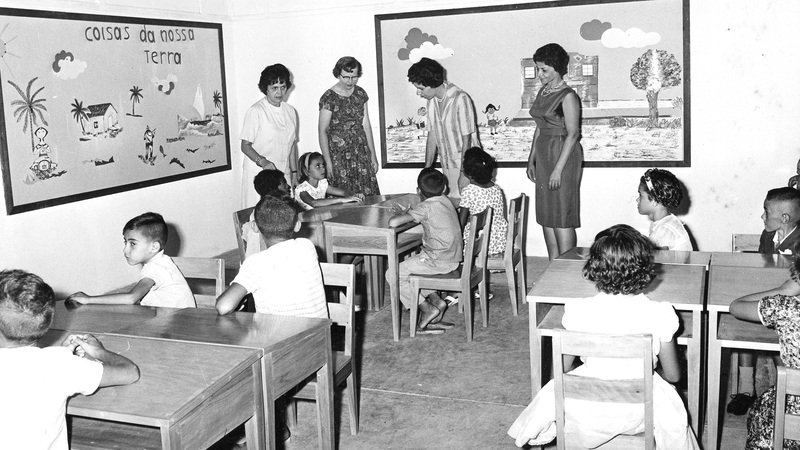 RIGHT : In the early 1960s, H.F. established Escola Johnson in Brazil for local children. Today it serves 1,300 students. TOP : After seeing that the children of Fortaleza, Brazil, did not have fresh milk, H.F. sent 11 head of Brown Swiss dairy cows for the community. BOTTOM : In the early 1960s, H.F. established Escola Johnson in Brazil for local children. Today it serves 1,300 students. Today we talk about H.F.’s “Inside/Out” theory – that we can’t have a healthy environment inside the company unless we have a healthy environment outside in the community. This notion informs our philanthropy and volunteer efforts around the globe. H.F. was, first and foremost, a businessman. But maybe even more defining, throughout his life he was an adventurer. Whether launching a new product, testing a new advertising strategy or traveling the world, H.F. lived life to the fullest. In the film Carnauba: A Son’s Memoir, Sam notes that H.F. approached every day of his life as a little bit of an adventure. And if he couldn’t find one, he’d stir one up. It’s this spirit, in part, that called Sam to retrace his father’s Brazilian adventure in 1998. That trip brought an even greater appreciation of his dad and the roles that all parents play for their children. As Sam liked to say, a great company needs a great spirit. H.F. made sure to build a great spirit at SC Johnson, and it’s one we carry on to this day.